President Abd-Rabbu Mansour Hadi received today ,Saturday, British Foreign Minister Jeremy Hunt. President Hadi discussed with Jeremy Hunt the implementation of the Stockholm Agreement and other issues of common interests. 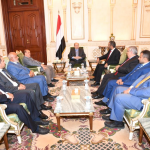 Hadi said that the Houthi coup militias still circumvent not to implement the Sweden Agreement, pointing out that they also procrastinate to free the abductees and detainees as a step to build trust. 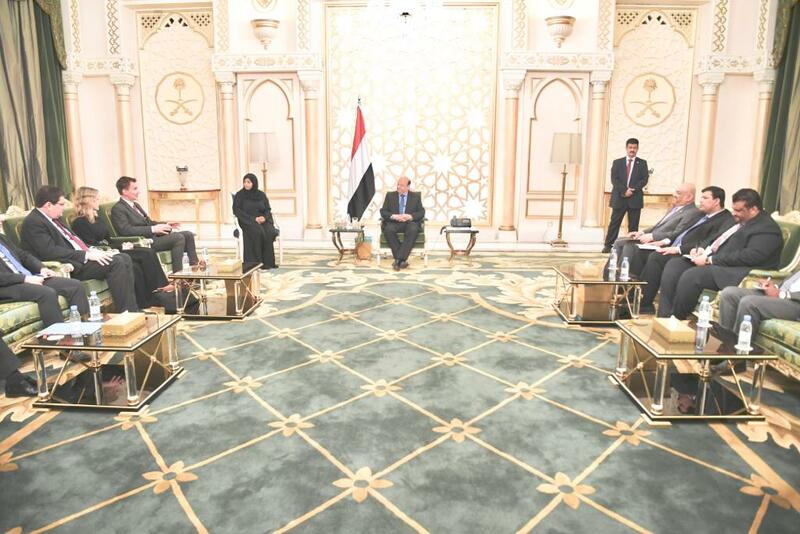 The president affirmed that the Yemeni government is keen to reach a reconciliation, praising, in the meantime, the designation of Hezbollah by the British government as a terrorist group. For his part, Jeremy exalted the flexibility of the Yemeni government, referring to his continuous meetings with different Yemeni sides with the aim of implementing the Stockholm Agreement and reaching an inclusive peace in Yemen.